A national consumer insurance company client had a huge problem with citation conflict and low search engine confidence. They were experiencing poor ranking for all of their locations. We first made their location information placeable. Then we launched 4,000 unique agency pages and over 50,000 local agent and product pages. Placeable data was syndicated across the ecosystem and accurately placed on Google Places. 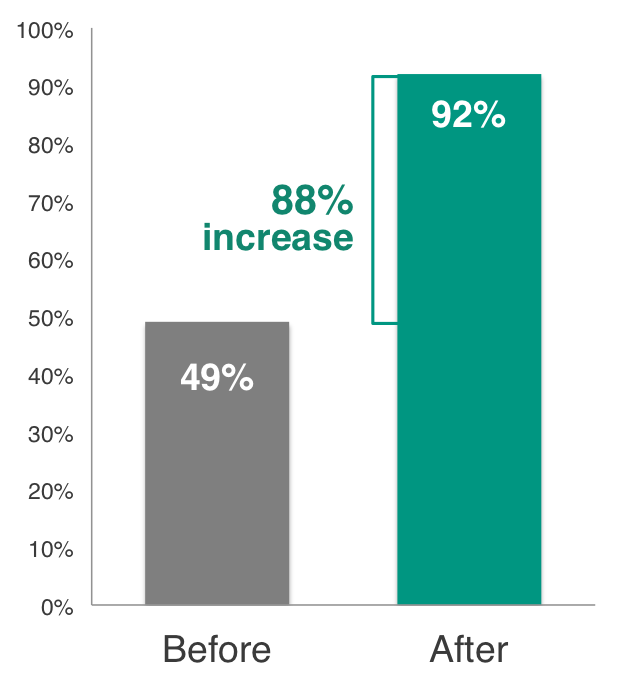 The effectiveness of these efforts was an improvement of page-1 citation listings from 49% to 92%, representing an 88% overall increase of page-1 performance.